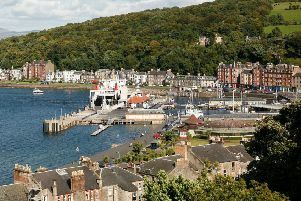 The cost of travel on the Rothesay-Wemyss Bay ferry route will fall when a new RET fares structure is introduced on October 1. Some multi-journey tickets on Bute’s two ferry routes will cease to be valid when new RET fares come into effect in a few weeks’ time. Existing ten-journey tickets will no longer be valid from October 1, although holders of 50-journey tickets for the Rothesay-Wemyss Bay and Rhubodach-Colintraive routes will still be able to use those. Anyone unable to use portions of their existing ten-journey tickets will be able to approach CalMac for a refund. The validity of the 50-journey ticket is being retained because the discount available is greater than that which would apply under RET. * More detail in this week’s issue of The Buteman - on sale from Thursday, August 20.